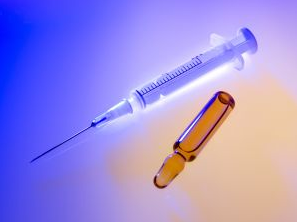 Travellers are often unsure of what vaccinations they need before they go. This infographic aims to simplify the process. A travel insurance provider has released an interactive infographic to easily explain which vaccinations are required when you travel abroad. Vaccinations are required for many countries around the world, whether you’re simply travelling through or something more permanent. Many travellers are unsure of the vaccine requirements for the countries they are visiting. Travellers to China are encouraged to get the H5N1 and Japanese Encephalitis vaccines for example. And even for short trips to Panama the Yellow Fever vaccine is required. The infographic, from HCC Medical Insurance Services (HCCMIS), details which vaccinations are recommended and which are required according to the Centre for Disease Control (CDC). It aims to remind travellers of the precautions they need to take before going abroad. Some immunisations need to be administered during more than one visit to the clinic, while others take several weeks to come into effect. “There are many items you need to check off your list before you leave the country. People need to investigate immunisations for travel well in advance to protect themselves from disease while outside of their home country,” said Mark Carney, CEO of HCCMIS in a statement. How long do travel vaccines last? If you are pregnant or breast-feeding tell your doctor and they will give you advice on what vaccines you can have (most are fine). For children the majority travel vaccines are considered safe. For information on travel vaccines see the NHS or CDC website. Thanks Natalie, we always appreciate feedback on our articles. Have a great trip to Asia! This was very helpful, was researching what vaccinations we need for our trip to Asia. Thanks for sharing!